Background: We have assembled this list of local small farm and independent food business resources from reports given to us by our Chapter members including those resources we researched and added from our sister Chapter in the Nashua/Amherst, NH area. We thank Weston A. Price member Marie Lane for her time in researching and updating the Resource List. 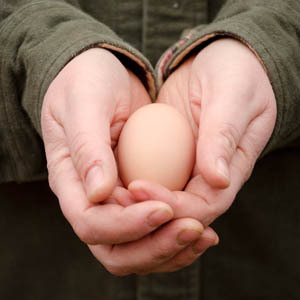 It is our goal to list resources for food raised by traditional, non-toxic methods, meat from livestock that are pasture-fed, milk products from pasture-fed livestock (preferably raw), eggs from pasture-fed chickens and properly produced whole foods. 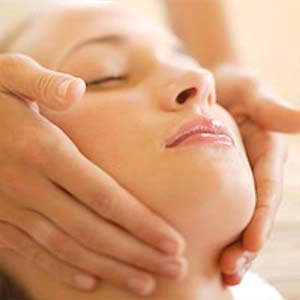 These resources are located within a range of 60 miles from Groton Wellness Medical Spa. Usage: Before visiting any farm or small non-commercial producer or provider, it’s advisable to contact them first to be sure that what you want is in season and available and to learn when it’s best to plan your trip. Also, many small farms and businesses sell what they produce at farmers markets and other locations which may be more convenient for you. A number of farms offer their products through Community Supported Agriculture groups (CSA shares) and may or may not have additional items to sell to non-members. Be sure to check out websites and call to ask. Use the NOFA and Local Harvest websites as a helpful resource as well. Disclaimer: We do not make any representations regarding the farms and businesses listed nor do we assume any liability for the products or services provided by them. We urge you to make your own inquiries to be sure that you are getting what you want. Updates: New entries will be provided in periodic updates. If you know of a resource meeting the above criteria that is not listed or one that needs to be updated or removed, please contact us @ info@grotonwellness.com Your help in keeping the list up-to-date will be appreciated. Abenaki Springs Farm, Walpole NH, 603.445.2157, www.abenakispringsfarm.com. CSA shares. Vendor at Keene and Walpole Farmers Markets. Pork. Cornucopia Farm, Bradford NH, 603.744.3102. Contact through www.localharvest.com. Lamb. Eccardt Farm, East Washington NH, 603.495.3157, eccardtfarm@gsinet.net. Beef and veal. Pork and lamb (limited availability). Hidden Meadows Farm (Connelly Brothers Dairy), Temple NH, 603.924.5002. Beef, pork, lamb, veal. Hidden Wonders Farm, Canterbury, NH, 603.783.9648, hiddenwondersfarm@gmail.com. pork, beef. Kelly Corner Farm, Chichester NH, 603.435.6419, romney@comcast.net. Lamb. Limerick Hill Farm, Sullivan NH, 603.847.3093. Beef. (Vendor at Hancock Farmers’ Market). Manning Hill Farm, Winchester NH, 603.239.4397, www.manninghillfarm.com. Beef, pork. Misty Brook Farm, Barre MA, 413.477.8234, www.mistybrook.com. Veal, beef, pork. Meat CSA shares. Not Your Ordinary Farm, Guilford VT, 802.251.7298, www.notyourordinaryfarm.com. Pork. Owen Farm, Hopkington NH, 603.225.2252, www.owenfarm.org. Beef. Paradise Farm, Lyndeborough NH, 603.345.0860, www.paradisefarmnh.com. Beef. Phoenix Hill Farm, Boscawen NH, www.phoenixhillfarm.com. Pork. Pitcher Mountain Farm, Stoddard NH, 603.446.3350, www.pmcsa.org. CSA shares. Beef. Savage Road Farm, Milford NH, Savage Road Farm, 603.673.0766. Pork. Steve Normanton Grass-Fed Beef, Litchfield NH, 603.320.1169, www.stevenormanton.com. Beef, pork. Sunnyfield Farm, Peterborough NH 603.924-4475/4436, www.sunnyfieldfarm.org. Beef, lamb, veal, pork. Western View Farm, Hillsborough, NH, 603,464.3015. Lamb in Fall. Winrose Farm, Greenfield NH, 603.547.3390, www.winrosefarm.com. Pork. Yankee Farmer’s Market, Warner NH, 603.456.2833, www.yankeefarmersmarket.stores.yahoo.net. Bison, beef, pork, lamb, deer, elk. Abenaki Springs Farm, Walpole NH, 603.445.2157, www.abenakispringsfarm.com. CSA shares. Keene and Walpole Farmers Markets. Chicken, turkey. [NEW] Birch Hill Farm, Brookline NH, 603.759.2993. Eggs (soy-free). Cornucopia Farm, Bradford NH, 603.744.3102. Contact through www.localharvest.com. Chicken, turkey, eggs. Eccardt Farm, East Washington NH, 603.495.3157, eccardtfarm@gsinet.net. Eggs. Far Sight Farm, Peterborough NH, 603.924.4333. Chicken. Hidden Meadows Farm (Connelly Brothers Dairy), Temple NH, 603.924.5002. Chicken, turkey. Hidden Wonders Farm, Canterbury, NH, 603.783.9648, hiddenwondersfarm@gmail.com. Chickens by subscription, eggs. Kellie Brook Farm, Greenland, NH, 603-702.0342, keliebrookfarm@comcast.net. Chicken. Kelly Corner Farm, Chichester NH, 603.435.6419, romney@comcast.net. Chicken, turkey, eggs. Manning Hill Farm, Winchester NH, 603.239.4397, www.manninghillfarm.com. Chicken by subscription, eggs. Milk and Honey Farm, Canterbury NH, 603.715.1215, www.milkandhoneyfarm.org. Chicken, duck, turkey. Misty Brook Farm, Barre MA, 413.477.8234, www.mistybrook.com. Chicken, eggs. Owen Farm, Hopkington NH, 603.225.2252, www.owenfarm.org. Eggs. Paradise Farm, Lyndeborough NH, 603.345.0860, www.paradisefarmnh.com. Eggs. Pitcher Mountain Farm, Stoddard NH, 603.446.3350, www.pmcsa.org. CSA shares. Chicken, eggs. Steve Normanton Grass-Fed Beef, Litchfield NH, 603.320.1169, www.stevenormanton.com. Chickens (by subscription), eggs. Stonewall Farm, Keene, NH, 603.697.8101. Eggs. Storybrook Farm, New Ipswick NH, 603.235.7228 Eggs. Winrose Farm, Greenfield NH, 603.547.3390, www.winrosefarm.com. Chickens. Yankee Farmer’s Market, Warner NH, 603.456.2833, www.yankeefarmersmarket.stores.yahoo.net. Chicken, turkey, ostrich. Bartlett Farm, Concord NH, 603.225.3114. Milk. Sold at Concord Coop. Benedikt Dairy, Alexandria NH, 603.217.0466, http://www.facebook.com/benediktdairy. Milk. Drop-off to be established in the Bedford area. Boggy Meadow Farm, Walpole NH, 603.756.3300, www.boggymeadowfarm.com. Cheeses. Sold at Concord Coop. and A-Market. Brookford Farm, Rollinsford, NH, 603.742.4084, www.brookfordfarm.com. Milk. Sold at A-Market and Concord Coop. Connolly Brothers Dairy, Temple NH, 603.924.5002. Milk, cream. Eccardt Farm, East Washington NH, 603.495.3157, eccardtfarm@gsinet.net. Milk. Hidden Wonders Farm, Canterbury, NH, 603.783.9648, hiddenwondersfarm@gmail.com. Milk (by reservation). Manning Hill Farm, Winchester NH, 603.239.4397, www.manninghillfarm.com. Milk. 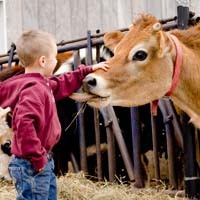 Misty Brook Farm, Barre MA, 413.477.8234, www.mistybrook.com. Milk, cheese, yogurt. Owen Farm, Hopkington NH, 603.225.2252, www.owenfarm.org. Milk. Paradise Farm, Lyndeborough NH, 603.345.0860, www.paradisefarmnh.com. Goats’ milk. The Nunley Family. Amherst, 603.249-9982, www.NHhoney.com, email: kathie@brains.org. Limited supply. Storybrook Farm, New Ipswick NH, 603.235.7228. Milk. Sunnyfield Farm, Peterborough, NH 603.924-4475/4436, www.sunnyfieldfarm.org, Milk. Abenaki Springs Farm, Walpole NH, 603.445.2157, www.abenakispringsfarm.com. CSA shares. Vendor at Keene and Walpole Farmers Markets. Hidden Wonders Farm, Cantebury NH, 603.783.9648. Kearsarge Gore Farm, 173 Gore Rd., Warner NH, 603.456.2319. CSA shares. Vendor at Manchester NH Farmers’ Market. Ledgetop Farm/Frog Hollow, Wilton NH, 603.654.6002, www.ledgetopfarm.com. CSA shares. Local Harvest CSA, 75 S. Main St., Concord NH, 603.731.5955. CSA shares. A cooperative of 8 NH organic farms. Pickup Wednesdays at Unitarian Universalist Church, 274 Pleasant St., Concord NH. Long Trail Acres Farm, Antrim NH, 603.588.2573. CSA shares. Milk and Honey Farm, Canterbury NH, 603.715.1215, www.milkandhoneyfarm.org. CSA shares. Newfield Farm, Temple NH, 603.878.2063, http://newfield.locallygrown.net. Online market through membership. Vendor at Newton MA Farmers Market. Middle Branch Farm, New Boston NH, 603.487.2540, www.middlebranchfarm.com CSA shares. Misty Brook Farm, Barre MA, 413.477.8234, www.mistybrook.com. CSA shares. Potager Farm at the Herb Lyceum, Groton MA, 978.448.6499, www.gilsonslyceum.com. CSA shares. Rosaly’s Garden, Peterborough NH, 603.924.6412, www.rosalysgarden.com. Farm retail store. Shirley Farm, Goffstown NH, 603.497.4727. Stonewall Farm, Keene, NH, 603.697.8101. Temple-Wilton Community Farm, Wilton NH, 654.6082, www.templewiltoncommunityfarm.com. CSA shares; produce/fruit for members only. Amherst NH: Thursdays, 2:30-6:30pm, The Village Green, June-Oct., grdnprty@aol.com. Amherst NH (St. Paul): Fridays, 4-7pm, St. Paul Lutheran Church, 3 Craftsman Lane, June 3-Oct, www.stpaul-amherst.org. Bedford NH: Tuesdays, 3-6pm, Benedictine Park (off Wallace Rd. ), mid-June – mid-Oct., www.bedfordfarmersmarket.org. Bradford NH: Thursdays, 3-6pm, Community Center–Main St., June 2- mid-Oct, bradfordfarmmarket@gmail.com. Canterbury NH: Wednesdays, 4-6:30pm, Elkins Library parking lot, Center Rd., June-Oct., www.ccfma.net. Concord NH: Saturdays, 8:30-Noon, Capitol St., June-Oct., stevenblaisdell@msn.com. Derry NH: Wednesdays, 3-7pm, 1 West Broadway, July 6-Oct. 28. www.derry.nh.org. Dover NH: Wednesdays, 3-6pm. 550 Central Ave., June 8-Oct. 12, may@herbalpath.com. Durham NH: Mondays, 2:15-5:30pm, Mill Road Plaza, June 6-Oct. 3, www.seacoastgrowers.org. Exeter NH: Thursdays, 2:15-6pm, Swasey Parkway, downtown Exeter, May 12-Oct. 27, www.seacoastgrowers.org. Gilmanton NH: Wednesdays, 3-6 pm, Academy at Gilmanton Four Corners, July- Oct., meadowviewfarm@metrocast.net. Hampton NH: Tuesdays, Tuesdays, 3-6 pm, 289 Lafayette Rd., June 7-Oct.11, www.seacoastgrowers.com. Hampton Falls NH: Mondays, 2-6 pm, Hampton Falls Town Common, May-Oct., www.hamptonfalls.org. Hancock NH: Saturdays, 9-Noon, Main St., May 21-Oct. 8, www.harvesttomarket.com/farmers-market/Hancock-Farmers-Market-NH. Henniker NH: Wednesdays, 3-6 pm, 931 Flanders Rd., July-Oct., www.hennikerfarmersmarket.us. Hillsborough NH: Saturdays, 9-Noon, Butler Park, corner of Main & Central Sts., July-Sept., 603.464.4640. Hooksett NH: Wednesdays, 4-7 pm, 1292 Hooksett Rd., June-Sept., jduffy@hooksett.org. Jaffrey NH: Saturdays, 9-Noon, Coll’s Farmstand parking lot, Old Sharon Rd off Rt. 202, July 18- Sept. 24, team-jaffrey@myfairpoint.net. Keene NH: Tuesdays and Saturdays, 9 am-2pm. Commercial parking lot off Gilbo Ave. behind the Colonial Theater, Main St., jandk3@localnet.com. Laconia NH: Thursdays, 3-7 pm, Municipal parking lot between Main & Pleasant Sts., May-Oct., rsbmoose@yahoo.com. Laconia NH, Saturdays, 8-Noon, Beacon St. City Hall parking log, June 25-Oct 1, stillseekingfarm@yahoo.com. Manchester NH: International Market, Tuesdays, 9am- 2pm, 315 Pine St., June-Oct., choyt@iinh.org. Manchester NH: Downtown Market, Thursdays, 3-6:30pm, Concord & Pine Sts., June-Oct., www.manchesterfarmersmarket.com. Milford NH: Saturdays, 9-Noon, Granite Town Plaza, Elm St., June-Oct., www.milfordnhfarmersmarket.com. Nashua NH: Fridays, City Hall Market, 12-6pm, 229 Main St., www.downtownnashua.org. Nashua NH: Sundays, Main Street Bridge Market: Sundays, 10am-2pm, Main St. Bridge, June-Sept., www.downtownnashua.org. New Boston NH: Saturdays, 9-Noon, Town Common, June-Oct., hermnfay@tds.net. Newmarket NH: Saturdays, 9am-1pm, Carpenter’s Olde English Greenhouse, 220 S. Main St., June-Sept., www.newmarketfarmersmarket@gmail.com. Northwood NH: Thursdays, 3-6:30pm, Jct. Rtes. 4,43,202/9, May-Oct., www.northwoodfarmersmarket@yahoo.com. Nottingham NH: Sundays, 1-4pm, Blaisdell Memorial Library, brieghangardner@aol.com. Penacook NH: Mondays, 4:30-7pm, Rolfe Homestead, 11 Penacook St., June 20-Oct., mdcotton@comcast.net. Peterborough NH: Wednesdays, 3-6pm, Depot Sq., May-Oct., www.peterboroughfarmersmarket.webs.com. Portsmouth NH: Saturdays, 8am-1pm, 1 Junkins Ave., May 7-Oct.5, www.seacoastgrowers.org. Rindge NH: Thursdays, 3-6pm, W. Rindge Common Park, cor. of Rt. 202 and Bradford St., May-Oct., rindgefm@aol.com. Rochester NH Downtown: Tuesdays & Thursdays, 3-6pm, Foster’s Daily Democrat parking lot, 90 N. Main St., June-Oct., 603.332.1765. Rochester NH 4 Corners: Saturdays, 9:30am-12:30pm, 4 Corners Antique Shop parking lot, Jct. 202! & Estes Rd., May 21-Oct.8, squires@metrocast.net. Rye NH: Wednesdays, 2-5pm, Rye Center, June-Sept., sorazi3@comcast.net. Temple NH: Sundays, 11am-2pm, Rt. 45, Town Common, May-Oct., vmamone@comcast.net. Tilton NH Exit 20@Tanger Outlets: Wednesdays, 3-6pm, June 22-Sept. 21, budgie@metrocast.net. Warner NH: Saturdays, 9am-1pm, Town Hall lawn, June-Oct., kgfarm@tds.net. Weare NH We Are One: Fridays, 3:30-6:30pm, 1436 S. Stark Hwy., www.weare1farmersmarket.org. Farmers’ markets are also listed at www.hippopress.com/food-and-drink. Acton MA, Sundays, 10am-1pm, Pearl St, W. Acton Village, July 10-Oct.23. Andover MA, Saturdays, 12:30-3:30pm.,97 Main St., Andover Historical Society, June 25-Oct.8. Chelmsford MA, Thursdays, 2-6pm. Rt. 4 * Rt.10, Town Common, North Road, July 7-Oct.13. Chelmsford/Mahoney’s Garden Center, Saturdays, 10am-4pm, 165 Princeton St., Mahoney’s Garden Center, July 2 – Sept. 3. Groton MA, Fridays, 3-7pm, 160 Chicopee Row, Williams Barn, July 8-Oct.7. Lexington MA, Tuesdays, 2-6:30pm, Mass. Ave & Fletcher Ave., May 31-Oct.25. Newton MA, Tuesdays, 1:30-6pm, 1200 Beacon St., Cold Spring Park, July 5-Oct.25. www.berkshiremountainbakery.com. Sourdough breads, pizza crusts, sprouted grain cookies. Bubbie’s, Stockton CA, 209.951.6071, www.bubbies.com. Lacto-fermented pickles, sauerkraut and other vegetables. Available at local markets. Concord Food Co-op, 24 1/2 South Main St., Concord, NH, 603.225.6840, www.concordfoodcoop.coop. Fish market. Earthlings Baked Goods, 16 Tainter Lane, Temple, NH, (603. 878.0665, www.earthlingsbakedgoods.com. Home-made gluten-free products. Essential Eating, Scranton PA. 570.586.1557, www.essentialeating.com. Sprouted flours and pasta. Formaggio Kitchen, 244 Huron Avenue, Cambridge, 617.354.4750, 888.212.3224, www.formaggiokitchen.com. Large selection of raw milk cheeses. The Good Loaf, 75 Mont Vernon Rd., Milford NH, 603.672.1500. Sourdough breads. Grain and Salt Society, Arden NC, 800.867,7258, www.selinanaturally.com. Celtic Sea Salt products and various other products. Green Pasture, O’Neill, NE, 402.858.4818, www.greenpasture.org. Fermented cod liver oil, X-factor butter, coconut oil products. Grindstone Bakery, Rohnert Park CA, 707.515.6666, www.grindstonebakery.com. Sourdough breads. Living Nutz, Portland ME, 207.780.1101, www.livingnutz.com. Unpasteurized raw nuts, including raw almonds. Miller’s Organic Farm, Bird-in-Hand PA, 717.556.6672. Member-only source for meat, poultry, dairy and other food products with delivery to a location in MA. Local contact is Hillary at 978,580.1616. Mountain Rose Herbs, Eugene OR, 800.879.3337, 222.mountainroseherbs.com. Herbs and spices. Orchard Hill Breadworks, East Alstead NH, 603.835.7845, www.orchardhillbreadworks.com. Sourdough breads. Sold at Temple-Wilton Community Farm; delivered Saturdays. Pickle Guys, New York NY, 888.4PICKLE, www.pickleguys.com. Lacto-fermented pickles and vegetables. Radiant Life Company, Healdsburg CA, 888.593.8333, www.radiantlifecatalog.com. Unprocessed fats and oils, including cod liver oil; salts; minerals; and other diverse products. Real Pickles, Greenfield MA, 413.774.2600, www.realpickles.com. Lacto-fermented pickles, sauerkraut and vegetables. Available at local markets. Really Raw Honey Co. Baltimore MD, 410.675.7411, reallyrawhoney.com. Raw and fermented honeys. Available at local markets. Schiltz Foods, Inc., Sisseton SD, 605.698.7651, www.roastgoose.com. Goose fat and other goose products. Summers Sprouted Flour Co., Torreon NM, 877.384.0337, www.creatingheaven.net. Sprouted spelt, wheat and rye flours. Urban Moonshine, Burlington VT, 802.428.4707, www.urbanmoonshine.com. Bitters (like Swedish Bitters). 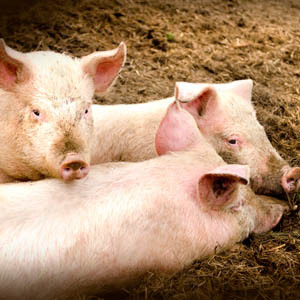 US Wellness Meats, Monticello MO, 877.383.0051, www.USwellnessmeats.com. Grass-fed meats, poultry, dairy, wild-caught seafood and other food products. Wilderness Family Naturals, Silver Bay, MN, 800.945.3801, www.wildernessfamilynaturals.com. Unprocessed oils, nuts, seeds, coconut products, raw products and other products. Zukay Live Foods, Elverson PA, 610.286.3077, www.zukaylive.com. Probiotic and raw fermented foods, including relishes, salsas, salad dressings and drinks. For additional resources, see “The Shop Heard ’round the World” in Wise Traditions, the WAPF quarterly publication. A-Market Natural Foods, 125 Loring Street, Manchester NH, 603.668.8445, www.myamarket.com. Raw milk from Brookford Farm, Rollingsford, NH..
Blueberry Fields Market, 48 Emerald St., Keene NH, 603.358.5207, www.blueberryfields.com. Brattleboro Food Coop, 2 Main St., Brattleboro VT, 802.257.1841, www.brattleborofoodcoop.com. Concord Food Co-op, 24 1/2 South Main St., Concord, NH, 603.225.6840, www.concordfoodcoop.coop. Raw milk from Bartlett Farm, Concord NH and Brookford Farm, Rollinsford NH. Earthward Natural Foods, 42 Route 101A. Amherst, NH, 603.673.4322, www.earthwardnatural.com. Hannah Grimes Marketplace, Keene NH, www.hannahgrimesmarketplace.com. Raw milk from Flying Cloud Dairy, Alstead. Maggie’s Market Place, 14 Main St., Peterborough NH, 603.924.7671. Black Trumpet Bistro, 29 Ceres St., Portsmouth NH, 603.413.0887, www.blacktrupmetbistro.com. Blue Moon Market Cafe, 8 Clifford St., Exeter, 603.778.6850, bluemoonevolution.com, bluemoonmarket.net. Cotton, 75 Arms St., Manchester, 603.622.5488, www.cottonfood.com. Hanover Inn, Terrace & Wine Bar, Main St., Hanover NH, 603.643.4300, www.hanoverinn.com. Hilltop Cafe at the Four Corners Farm (Temple-Wilton Community Farm), 195 Isaac Frye Highway, Wilton NH, 603.882.2741. Portsmouth Brewery, Portsmouth, NH, 603.431.1115, www.portsmouthbrewery.com. Republic Cafe, 1069 Elm St. Manchester NH. 603.666.3723, www.republiccafe.com. River House Cafe, 123 Union Sq. (on the Oval), Milford, NH, 603.249.5556, www.theriverhousecafe.com. Rustic Leaf Bistro, 15 Elm St, Milford, NH. 603.672.1556, www.rusticleaf.com. Seed to Stalk Cafe and Catering, 6 Bedford Farms Road, 603.645.8300, www.seed-to-stalk.com. Breakfast and lunch. Sunny’s Table, 11 Depot St., Concord NH, 603.225.8181, www.sunnystable.com. Zampa, 8 Exeter Road, Epping NH, 603.679.8772, www.zampa.com. 15 Walnut, Hamilton MA, 978.468.2400, www.15walnut.com. Craigie on Main, 853 Main St., Cambridge MA, 617.497.5511, www.craigieonmain.com. EVOO, 350 3rd St., Cambridge MA, 617.661.3866, evoorestaurant.com. Garden at the Cellar, 991 Mass. Ave., Cambridge MA, 617.230.5880, www.gardenatthecellar.com. Gilson’s Herb Lyceum, 368 Main St., Groton MA, 978.448.6499 (reservations), www.gilsonslyceum.com. Henrietta’s Table, One Bennett St., Cambridge MA, 617.661.5005, www.henriettable.com. Hungry Mother, 233 Cardinal Mediros Ave., Kendall Square, Cambridge MA, 617.499.0090, www.hungrymothercambridge.com. Parson’s Table, 34 Church St., Winchester MA, 781.729.1040. Rendezvous, 502 Mass. Ave. (Central Sq. ), Cambridge MA,m 617.576.1900, www.rendezvouscentralsquare.com. www.farmfresh.org. Local food guide to Northeast MA. www.truefoodnow.org/shoppersguide/guide. Center for Food Safety Non-GMO Shopper’s Guide. www.fourfoldhealing.com. Website of Dr. Tom Cowan. www.aurumfoundation.org. Anthroposophy in Southern New Hampshire. www.breakingtheviciouscycle.info. Specific Carbohydrate Diet (SCD). www.gapsdiet.com. Gut and Psychology Syndrome (GAPS) diet. The Everyday Epicure. Elizabeth Skipper, Personal Chef and Cooking Instructor, Amherst NH, 603.672.0708, eeskipper@comcast.net. Cook better, eat better. Whey To Go! Wholistic Medical Nutrition Therapy/The Traveling Dietitian, Harriet Riendeau, RD, LD, Milford, NH, 603.672.8826, www.wheytogo.net. Just Naturals, 176 S, River Rd., Bedford NH, Karen Girardo, 603.606.1345, www.justnaturalproducts.com. Full line of natural cleaning, laundry and pet care products; natural beauty products. Northwood Naturals, Northwood NH, Julie Johnson, Indep. Distributor, 603.463.5882, www.juliesnorthwoodnaturals.com. Natural skincare products made in NH. Sold online and at several farmers’ markets in NH. Purely Green Environmental, LLC, Nashua NH, 888.291.3773, Madeline Flagg, President, 603.345.1900, www.PurelyGreenEnviro.com. Full-service indoor environmental testing company that identifies and solves indoor environmental problems, such as mold, impure water and other biological or chemical pollutants. Wellsprig Herbal Care, Milford NH, 603.769.0109, Monica Bhattacharya, www.wellsprig.com. Natural personal care products, including moisturizing cream and oil, hair oil, lip balm deodorant, mouth wash, insect repellant and itch relief. Wintergreen Botanicals, Allenstown NH, Maria Noel Groves, 603.268.0548, www.wintergreenbotanicals.com. Herbal education and consultations. Eccardt Farm, East Washington NH, 603.495.3157, eccardtfarm@gsinet.net. Farm visits, field trips. The Educational Farm at Joppa Hill, Bedford NH, 603-472-4724, www.theeducationalfarm.org. Farm camp, farm tours, horsemanship programs, fairs. Stonewall Farm, Keene, NH, 603.697.8101. 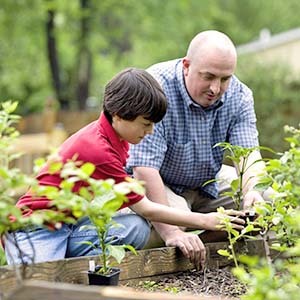 Programs for children or all ages, scouts, seasonal camps and parties.